Good things come in small packages, and this is definitely true for the GoPro action camera range. If you're looking to buy a cheap GoPro, then you can check out the very best GoPro prices right here on this page. The lightweight yet durable GoPro cameras can be mounted to pretty much anything, including your dog. And with its fish-eye lens and rugged waterproof casing, it'll have no problem keeping up with you, whether you're using it in the water or on dry land. We regularly update the prices on this page so you can be sure you're always getting the best deal. The great news right now is that all three cameras in GoPro's latest range – the Hero7 cameras – are being discounted. So read on if you're after a cheap GoPro to record your adventures on this spring. With multiple GoPro camera models available, choosing which GoPro is right for you can leave your head in a spin. That's why we've provided a rundown on all of the different available models below. There are three GoPro action cameras in the current range: the GoPro Hero7 White (good), the GoPro Hero7 Silver (better) and the GoPro Hero7 Black (best). Some older GoPro models are still on sale at cheaper prices. You'll find everything covered from the top-end GoPro Hero7 Black to the more modest (but still very capable) GoPro Hero Session on this page. Whichever one you're after, you'll find the best GoPro deals below. The GoPro Hero7 Black is the current flagship GoPro camera, released in September 2018 and sold on GoPro's site for £379.99. As it's now a few months old, we're starting to see some tasty savings, which we've listed below. The cheapest we've seen the Hero 7 go for is £299 at Currys and John Lewis for a very brief period (just a day or two) in April 2019 and for £319 on a couple of occasions at Amazon during March 2019, so we'd consider anything under £330 to be a good price right now. The GoPro Hero7 Silver replaced the Hero5 Black in September 2018. Like the Hero5 Black, it features a 10 megapixel camera which can capture 4K footage at up to 30fps. Full price for the Hero7 Silver is £279.99, so consider anything under £250 a good deal for what's still a pretty new action cam. As of September 2018, the Hero7 White is GoPro's current entry level camera, replacing the (unnumbered) GoPro Hero. It can shoot HD (1080p60 video), which is the resolution that the older Hero shoots at. The Hero7 White sells for £179.99 on GoPro's site and you can see the best discounts right now. As the cheapest camera in the range it's also the one that tends to get the smaller discounts – £159 is therefore a good price for the Hero7 White. Below, we've listed prices for older models of GoPro action cameras. We're not seeing the huge price cuts on these models that we'd expect, given that they've all been superseded, and given the lack of those big price drops, I'd personally go for one in the Hero7 range, especially now that all three Hero7 action cams are being discounted. But if you want an older GoPro despite that, you'll find them listed below, and because we update our prices every day, if one of them does suddenly get a big price cut, you'll see it in the tables below. GoPro debuted the Hero6 Black in September 2017, with a launch price of $499/£399. It featured 60fps 4K video recording and beefed-up image stabilisation thanks to a new, custom-designed processor. In addition to the features above, the Hero6 brought improved dynamic range and low-light performance plus an added digital zoom (there are RAW and HDR photo modes). It's also ruggedised and waterproof to 10 meters without a dedicated waterproof. There are also faster offload speeds when compared with the Hero5, thanks to 5GHz 802.11ac Wi-Fi. This means you'll be able to download and share your captured footage quicker and more easily. The GoPro Hero5 Black was introduced in September 2016 with a launch price of $399/£349. This once-popular action camera has a touchscreen for super-simple control and is water resistant without a housing case. Like the Hero5 Session, the Hero5 Black offers video recording up to 4K and the option for you to change the Field of View (FOV). Options include: SuperView, Wide, Medium, Narrow and Linear. 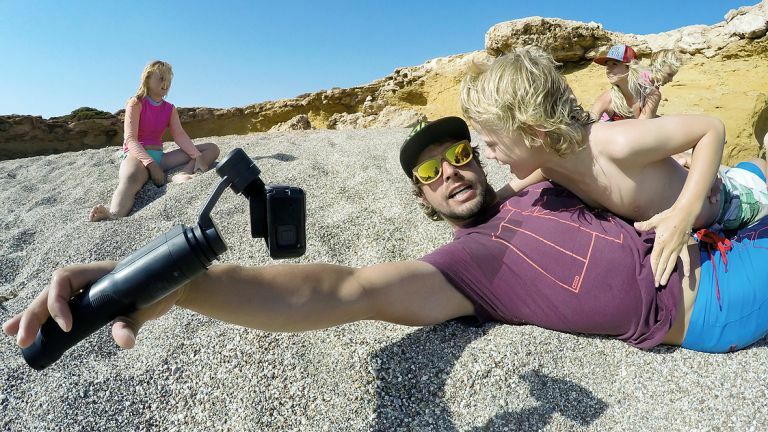 With this camera, GoPro recognised that not everyone wanted the wide fish-eye look every time. Unlike the Hero5 Session, the Hero5 Black offers the highest frame rates of the Hero5 range, in certain resolutions, and offers a higher resolution sensor. It also has professional grade low-light performance and ultra-sharp image quality with reduced distortion. However, the Hero5 Black is bigger than the Hero5 Session, so keep that in mind if size is a consideration for you. The GoPro Hero5 Session was introduced in September 2016 with a launch price of $299/£249. The Hero5 Black and the Hero5 Session have a lot of cross overs in terms of offering similar features. Both are able to offer up to 4K video recording, both have voice control and both are water resistant (up to 10 meters) without a housing case. The Hero5 session is also smaller and discreet, with less wind drag, making it more attractive if you want to mount it on a helmet or elsewhere on yourself. Costing less than the Hero5 Black, the Hero5 Session is a strong option in the older GoPro action cam range. Some of the features you would be missing out on include, higher frame rates, touchscreen control, longer battery life, RAW images and GPS capture. If this is worth the extra money or not, is up to you. The GoPro Hero Session camera is the cheapest GoPro. It was released in July 2015 as part of the Hero4 range, priced at $399/£329. GoPro later dropped the price to $299/£249 and then $199/£159 in December 2015. The Hero Session is water resistant up to 10m, and weighs exactly the same. That's about it for likeness. Many of the newer features available on the previous models don't exist on the Hero Session. It does not offer voice control, 4K video recording, video stabilisation or auto image upload. It has two different field of view settings and has a smaller sensor size, meaning image quality and low-light performance is weaker. But it's cheaper than the Hero5 Session and still does what it sets out to do and very well. 5.2K spherical video and 18MP spherical photos! That's what you can capture using GoPro Fusion, with gimbal-like stabilisation makes footage smooth. The GoPro Fusion was released in November 2017 for $699/£699. The GoPro app’s OverCapture feature can recapture and share your spherical shot as a traditional fixed perspective video. It's waterproof to 5m.